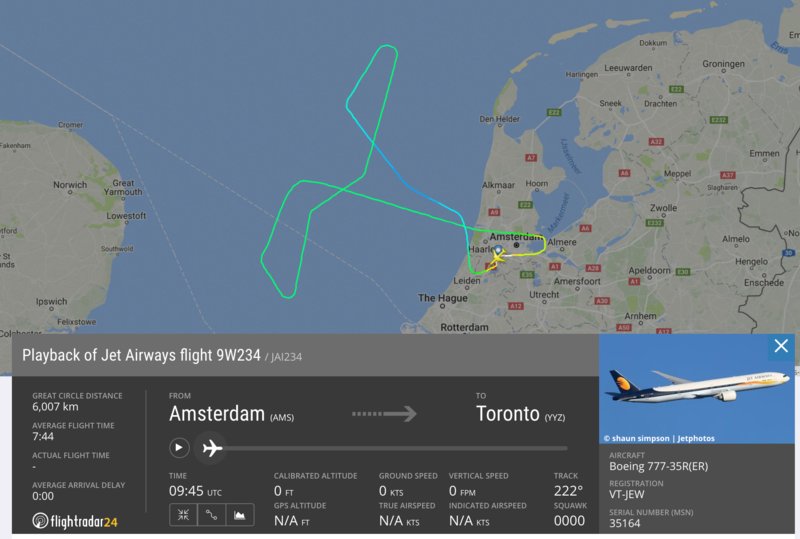 JAI234 AMS-YYZ returned to Amsterdam following a tail-strike on departure from runway 18C. The Boeing 777-300ER (reg. VT-JEW) dumped fuel before landing and was parked on a remote stand. No damage visible from the outside. Previous articleEtihad Airways today confirmed that it will donate one dirham from every flight ticket sold in the United Arab Emirates during 2017 towards the UAE’s Year of Giving causes.